Mercedes calls the Concept Coupe SUV "a typical representative of a long-standing coupé tradition at Mercedes-Benz." So any resemblance to a BMW X6 or X4 is, it would seem, mere coincidence. This sporty looking crossover rides on massive 22-inch wheels and it's powered by a turbocharged 333 horsepower V6 engine with a 9-speed transmission. 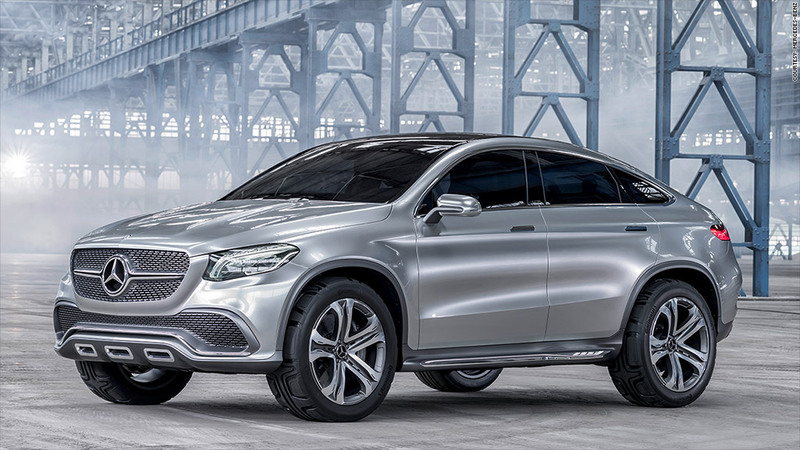 With its low and wide body, Mercedes promises this crossover will provide "dynamic handling" on the road. Some of the cars in this gallery you'll never see on American roads because they're intended for Chinese consumers. But many of them, or vehicles very much like them, will hit American roads sometime in the future.